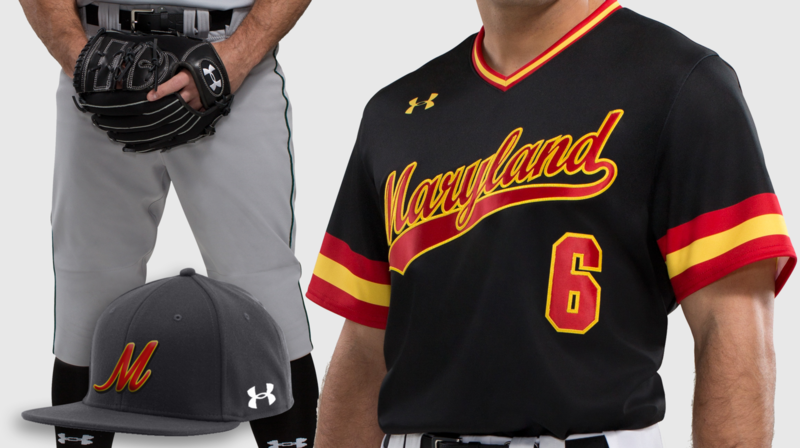 Armourfuse sublimated V-Neck Jersey includes team name, numbers and logos. Many different patterns to choose from. 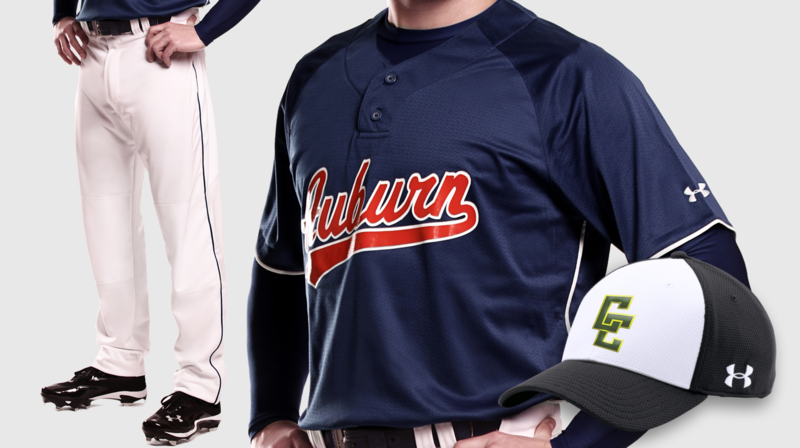 Armourfuse Baseball Pant comes with option of 1, 2, or 3 color sublimated braid. 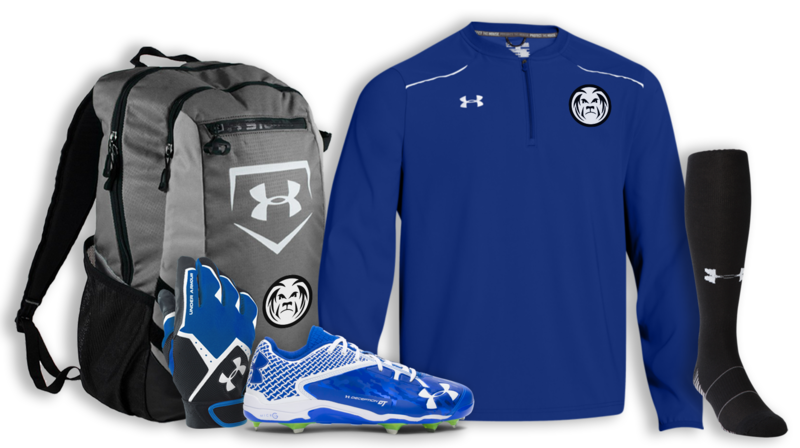 UA Closer Team Cap available in 9 colors. 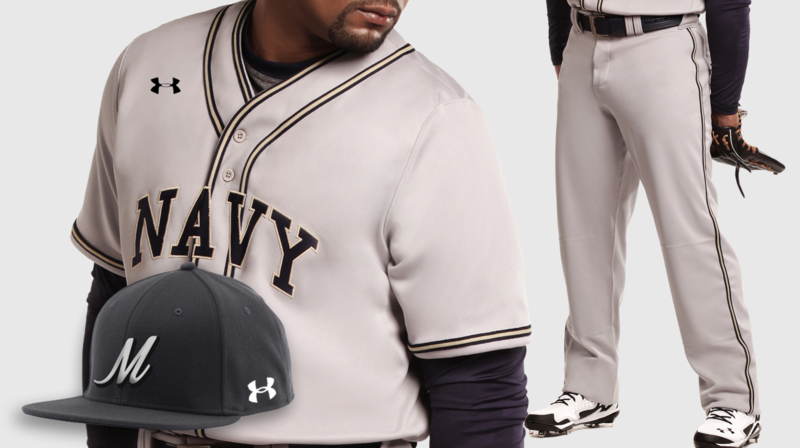 Features traditional flat visor and is a stretch fit with 4 sizes to choose from.